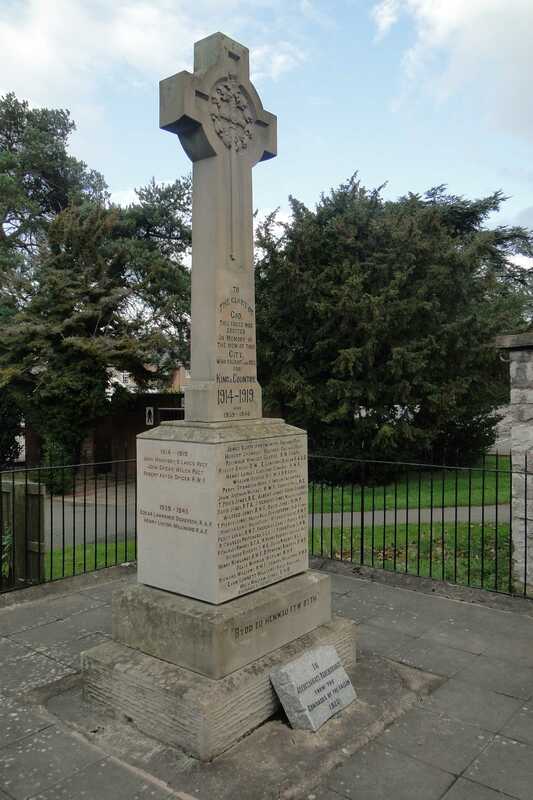 Most of the memorials that are on this website have been built to commemorate people who had some connection to Flintshire. 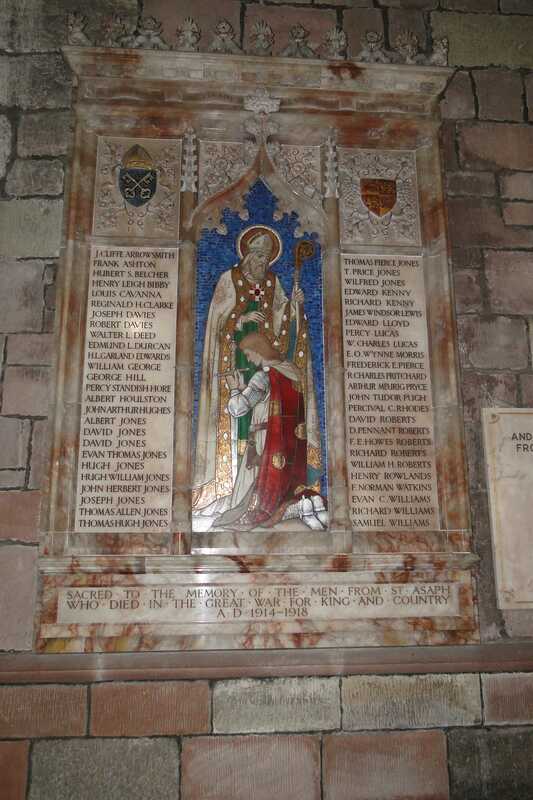 However located on the wall inside St. Asaph Cathedral there is a very impressive (probably copper) memorial dedicated to the 5 Welsh nurses who are known to have died in World War I. However the fact that is located in St. Asaph has brought it under our watchful eye and their stories are starting to take shape on a dedicated section of the St. Asaph memorial site. The exact reason for the memorial being placed in St Asaph Cathedral hasn’t been found so far. 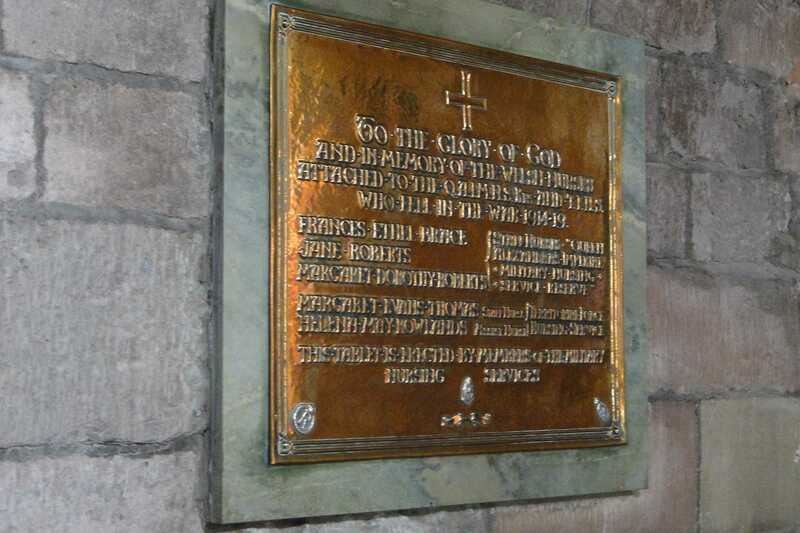 However an article from The British Journal of Nursing dated May 7 1921 states that a Military Nurses Memorial Fund had been formed and at that date bronze tablets had been fixed in St Asaph’s Cathedral, and in the Garrison Church in Dublin. It was also planned to place memorials in St Giles Cathedral, Edinburgh and a Roll of Honour bearing the names of the English nurses would be placed in the Memorial Chapel in Queen Alexanrda’s Military Hospital, Grosvenor Rd, London.